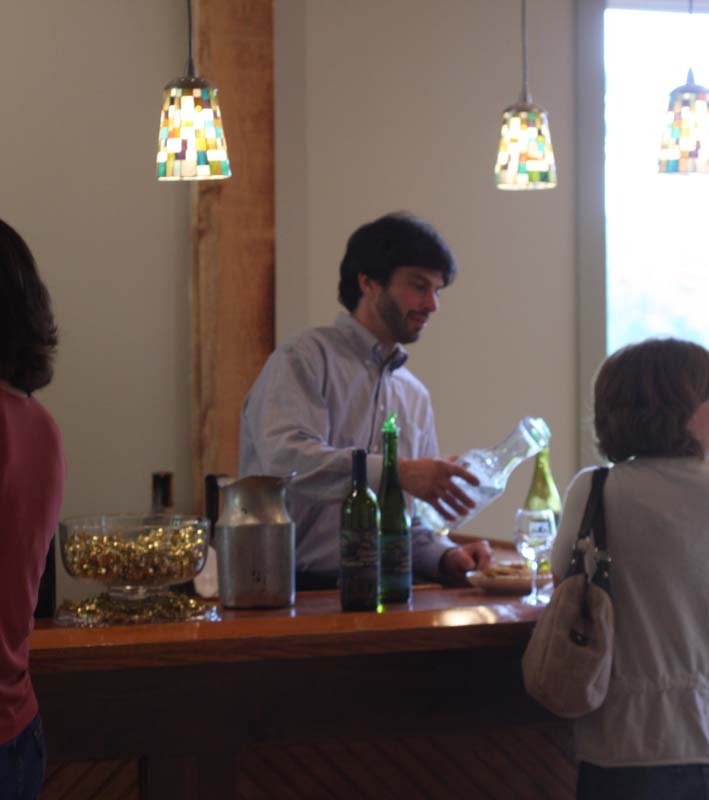 Wine Tastings are $6 and include a sample of 5 of our wines and a complimentary tasting glass. Glasses and bottles of wine are available to enjoy on premise, either in the Tasting Room perhaps by the fireplace or outside on the deck overlooking the vines. Guests are welcome to bring their own picnic, or enjoy a cheese plate or antipasto plate prepared for you at the vineyard. 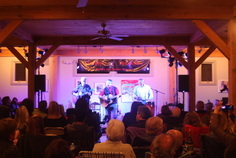 Lost Acres Vineyard’s beautiful tasting room is the setting for exhibits of original artwork featuring local artists. in 2013 six artists have been selected to present their work over the coming months. 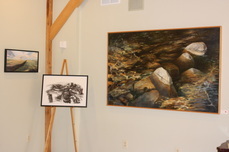 The Vineyard Gallery also hosts the Granby Land Trust Annual Juried Art Show and is a stop on the Granby Artists Associations Open Studio Tour. Imagine listening to fun, talented musicians under the stars by the vines, all while enjoying a glass of your favorite Lost Acres Vineyard wine with a cheese plate from the vineyard or your own picnic. We are home to Legacy Jazz select Sunday afternoons as well as host for a variety of concerts throughout the year.